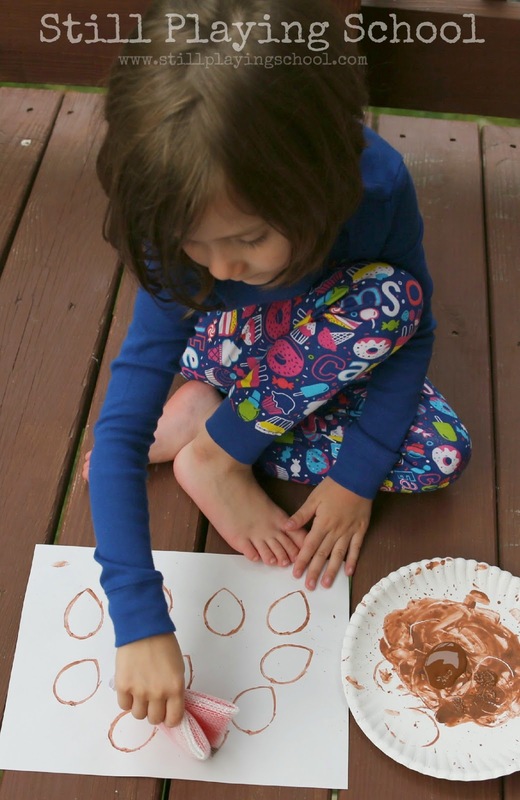 Our toilet paper roll stamped acorns were the perfect fine motor fall craft for both my preschooler and toddler! 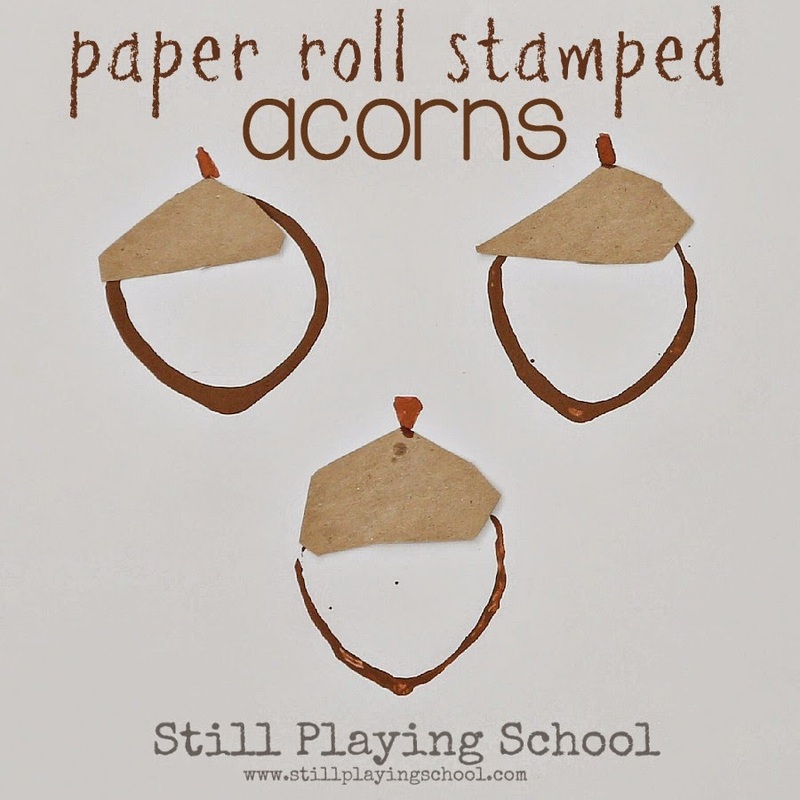 We love acorn crafts and stamping with recycled objects so it only seemed natural to combine the two for autumn crafting! 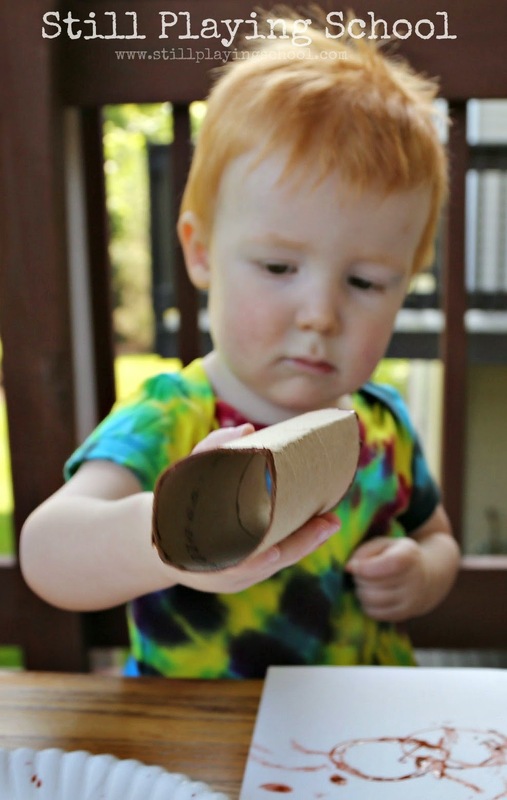 We creased one end of the toilet paper roll to create the bottom of the acorn. 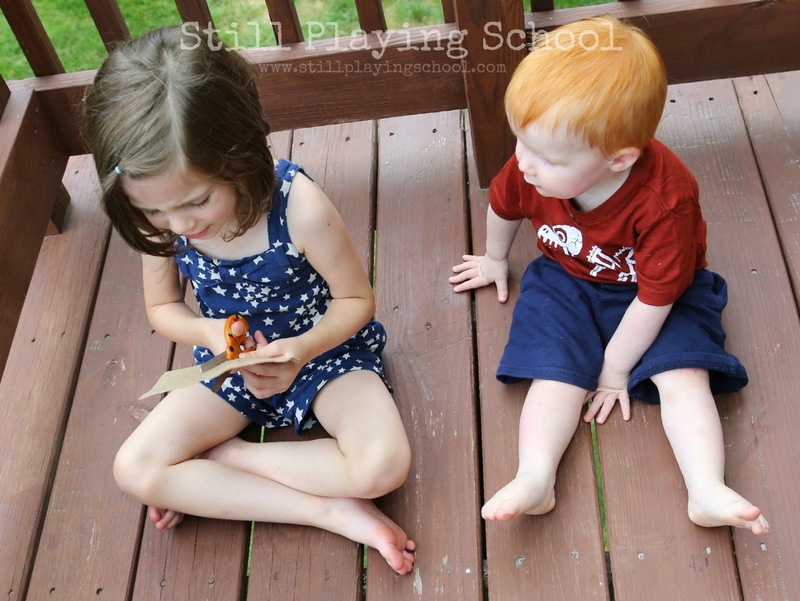 Both our preschooler and toddler had their own stamp to create! 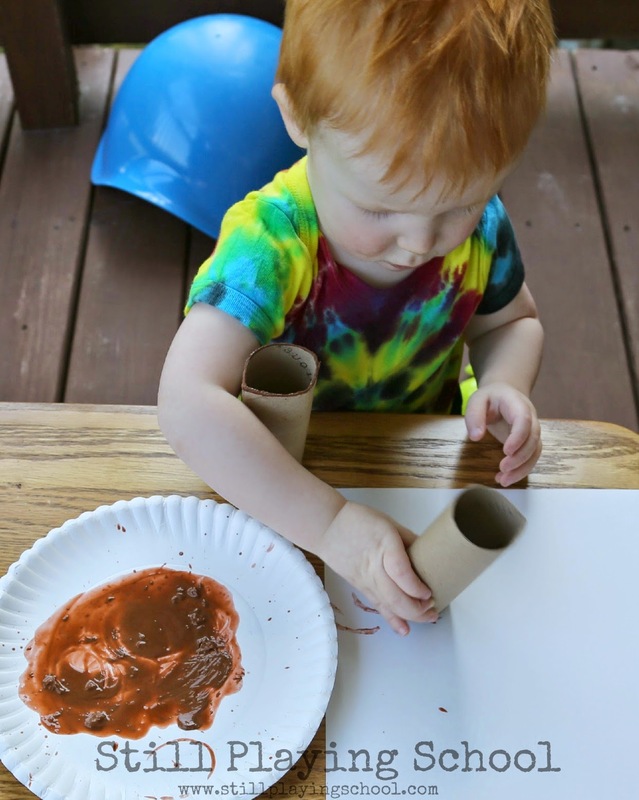 Dipping the roll in brown paint, toddler D's artwork was more abstract while our preschool was intentional in making her acorns. He had a great time getting lots of fine motor practice. 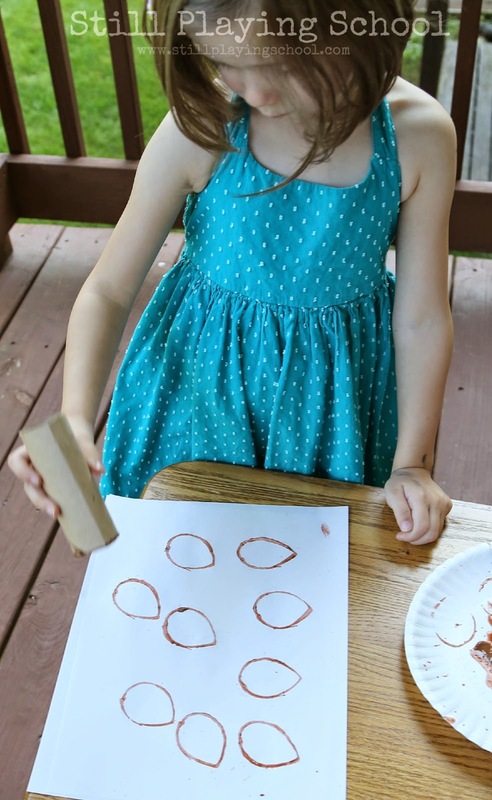 Toddlers (and at times older kids, too) love the process of art over the finished product! 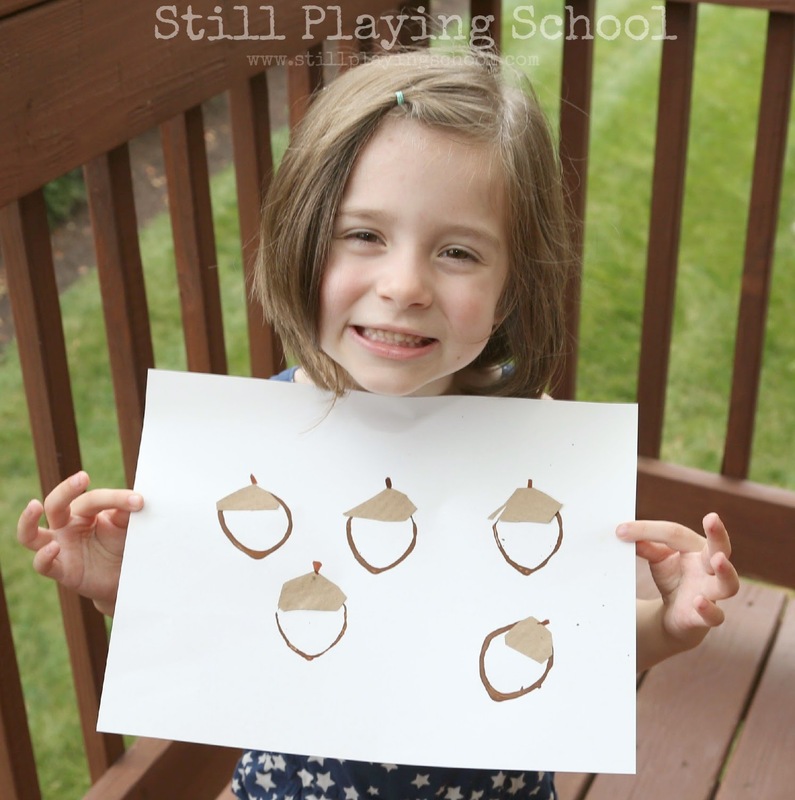 Next E worked those fine motor muscles while cutting out acorn caps from textured brown paper. D patiently watched his sister work. 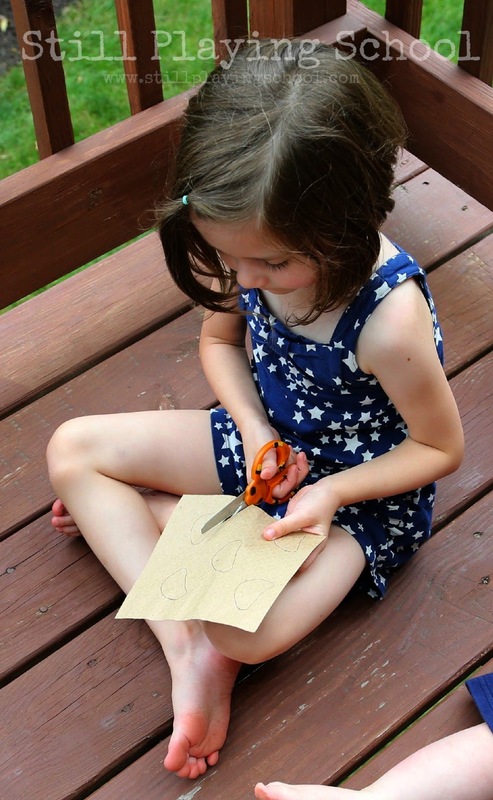 While using her scissor skills she recited a cute poem from art camp about how her thumb was the momma driving up front while she and her brother were the two fingers sitting in the back. "And drive, drive, drive," she said as she cut. How adorable and useful is that? Thank you Splat Studio! Once the paintings were dry E glued her paper caps on one sheet. 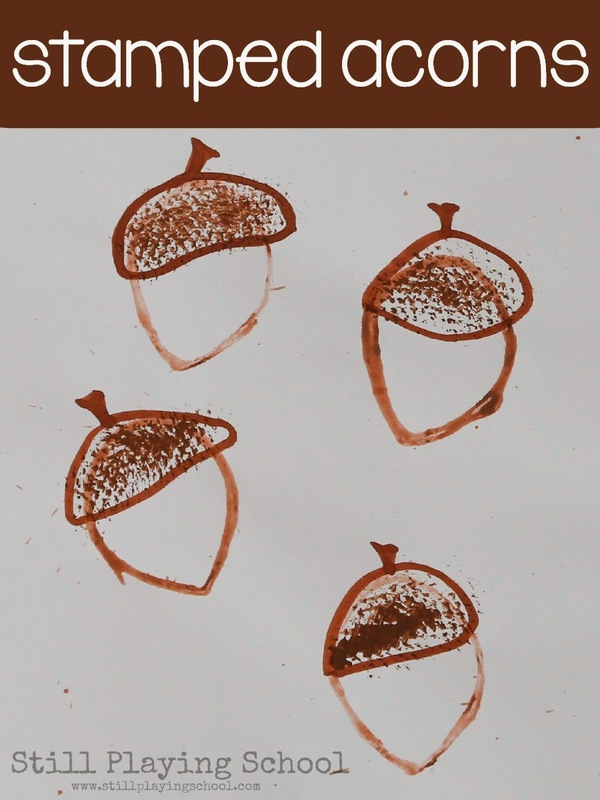 For the other we used a textured sponge to stamp the bumpy caps on the acorns! Pinching the stamp while she worked was bonus fine motor practice. She had to aim the sponge carefully to cap her acorns. 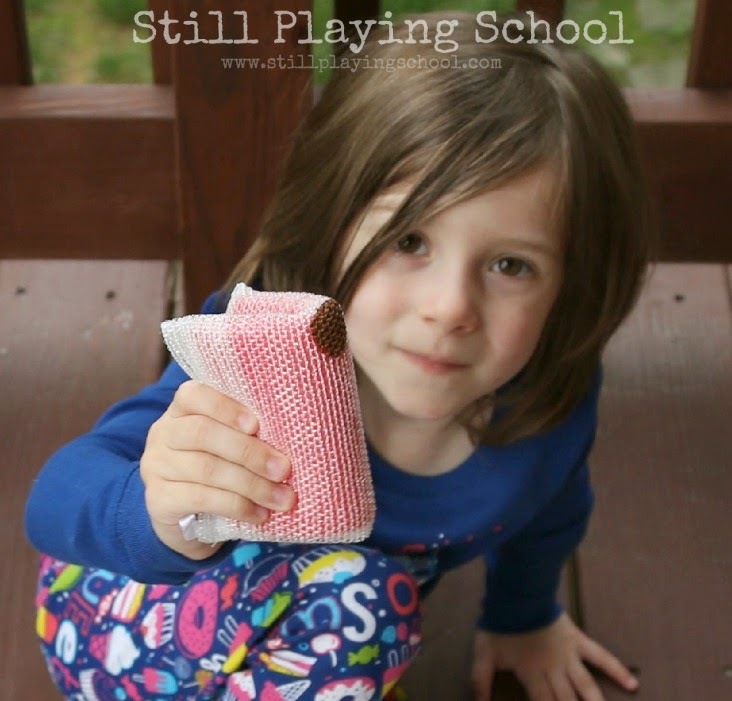 She is so proud of both versions of our toilet paper roll stamped acorns. We are ready for Autumn!